This London ensemble formed in 1966 and never officially released any material, but is known among psychedelic music enthusiasts for including future Yes members Chris Squire (bass), Peter Banks (guitar), and later, Jon Anderson (vocals). Original band members were Clive Bailey (vocals, guitar), Bob Hagger (drums) and Paul Rutledge (bass). Squire (bass) replaced Rutledge towards the end of 1967, leaving his previous band the Syn in hopes of joining a less poppy and more prog-psych outfit. Banks, who had also been a member of the Syn became a member soon after. 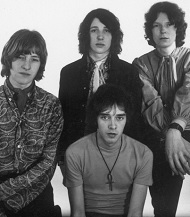 In early 1968, Anderson joined the band after meeting Squire in a Soho nightclub. The group worked in the universities and top clubs around London, including the Marquee, UFO, Electric Garden, and Happening 44. During this time, they met influential BBC radio DJ John Peel at the Middle Earth club in London and ended up recording a handful of tracks for his radio shows Top Gear and Night Ride, the best by far being 'Images Of You And Me' featured here on TWOS. Unfortunately, the sound quality of the material is quite horrible and has yet to be re-mastered. In the spring of '68, Banks left the fold for a brief stint in the Neat Change, but returned that summer to replace Bailey who had split. Around the same time, Hagger also left and was replaced by Bill Bruford (drums). Finally, Tony Kaye (keyboards) was brought in to round out the lot and not long after, they renamed themselves Yes, which of course became one of the biggest progressive rock bands of the 70s. 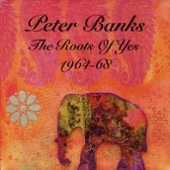 This Peter Banks compilation CD contains songs from bands that he played in, including Mabel Greer's Toyshop and the Syn. The originally unreleased 'Images Of You And Me' first aired on John Peel's 'Night Ride' Broadcast: April 3, 1968.